Do you have questions about standing seam metal roofing? Many business owners enjoy the benefits of this roofing type for functionality. But there’s another reason standing seam metal roofing has become popular: style! Beauty may not be something you immediately associate with roofs. However, when you get right down to it, you want a business that looks nice just as much as a homeowner wants a home with great curb appeal. The roofing style you choose can add style to any structure to make a visual impact. Function might be the primary necessity for most roofs. However, form doesn’t take a complete back seat. Systems like standing seam metal roofing attract attention with their good looks. They’re also an effective roofing option that will keep the structure safe from the elements. 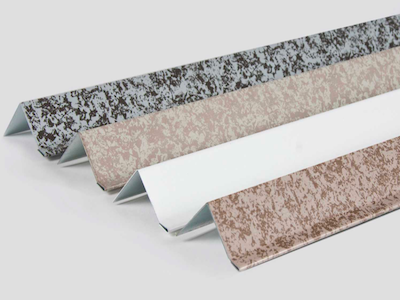 The seam may be aluminum or steel, and the roof comes in a wide range of colors. Of course, lighter color choices are ideal to keep the roof temperature cooler. Hooray for natural energy savings! In addition to style and color choices, the standing seam metal roofing system also provides a long-term solution for low or no maintenance roofing. It’s a smart roofing choice for business owners seeking to install a beautiful, hassle-free roof they won’t have to worry about replacing for a long time. Because all of the roof’s fasteners are concealed underneath the roof panel, they are not exposed to the weather and typical wear and tear of traditional roof components. Are You Interested in Standing Seam Metal Roofing? Still have questions about standing seam metal roofing? Then it’s time to speak with professionals who have extensive experience in this roofing type. At Montgomery Contractors, Inc., we want to put our years of experience to work for you. We are happy to help you find the system to suit your needs as well as style preferences. Give us a call at 910-220-2172 or get in touch with us online today.